Who is more important to win an election? 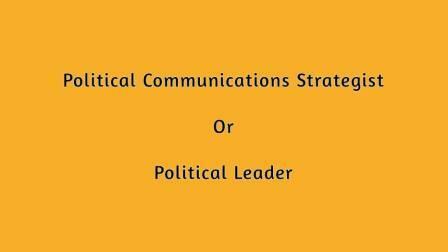 Is it the Political Communications Strategist or the Political Leader who hires the services of the best professionals available, rests full faith in them, and acts well on the script provided? We threw the question on two young Political Communications Strategists and got some very interesting perspectives. Read on. From Gandhi to Churchill; Martin Luther King to Atal Bihari Vajpayee, history is full of individuals who, through their words and deeds, have shifted public opinion and behaviour. 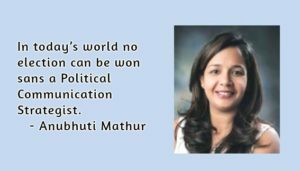 In the recent past, Indira Gandhi, Barrack Obama and Narendra Modi have all been hailed as great political communicators. 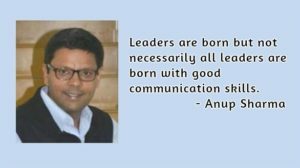 All leaders know that great communicators can influence change but they also know that only great communications don’t win elections. They know that most voters do not experience political leaders first hand but rely on ‘heard voices’ to frame an image of their leaders. With this belief, strong leaders build a strong team, by placing right people at right places, to help them with communications strategy and implementation, and create a direct link between them and voters. With the emergence of news hungry 24X7 channels fuelled by social media, political campaigns now need strategy to be evolved on a real time basis turning any situation into a huge positive opportunity that completely changes the game over a weekend or even overnight. Over the past few years, there is a big change in public interest as the voters are now concerned about and are asking questions regarding policy initiatives at all levels, besides the candidate’s credibility and the party ideology. Today, the WIN is a collaboration of efforts from all quarters but the political leader, his or her work and legacy is the key. The leader is the face. The face that inspires confidence in the voters and the strategist plays a backroom role in marketing the face. Success depends on the marketability of this face based on work done in the past or the potential for the future. Today, public opinions about individuals, incidents, places and issues are shaped by various forms of communication that bombard us from every direction and myriad sources. From the traditional print and electronic media to the modern social media platforms like Twitter, Facebook, Tumblr and YouTube, communication has a profound effect on what and how we think. What we see, hear and read, could be the difference between Kanhaiya Kumar getting public support for his right to free speech and him being declared a country enemy for sedition. Similarly, the right communication, in the right medium at the right time could be the difference in the electoral mandate for a political leader. What issues does a candidate or political leader associate himself with to strike a chord with the electorate? How and what does he communicate? Which words does he use and what emotions does he portray? What mediums are used for this communication? political communication strategists help find answers to many such questions. They ensure the correct message reach the correct media and are sent out at the correct time though the correct medium. In today’s media frenzy environment, communications and in turn communications strategists are indispensable to winning an election. Politicians could win elections in the absence of social media and multimedia channels which was how it was back in the day. We have seen in Barack Obama’s campaign in 2008 and 2012. We have seen in Narendra Modi’s campaign in 2012 and both Assembly elections campaigns in Delhi and Bihar in 2015 that elections are won with a grand behind the scenes play by political communications strategists. They are here to stay and help a face win. Be the first to comment on "Who is important to win an election?"